Once a form is created, they can be publicly shared. Simply click the ‘Embed’ button. 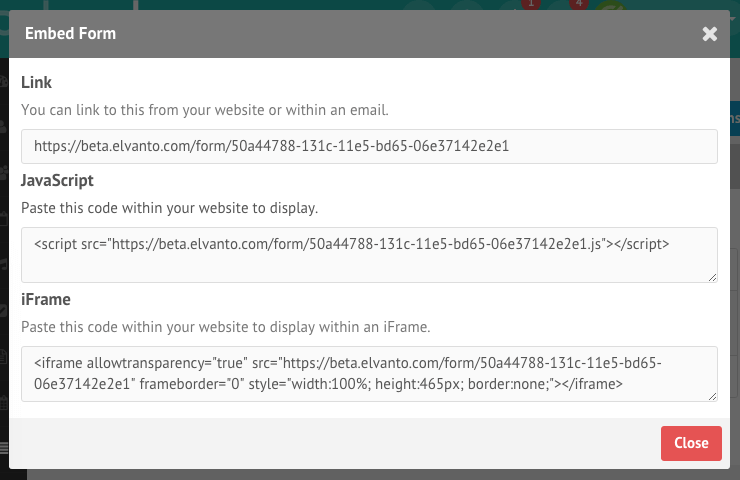 You’re able to share the public link from your website or within an email. Users directed to this page do not need to enter their log in credentials to enter information into the form. Please note that when you view a form and you’re logged in, it will show your details for the fields. When a guest views the form, it will not show your details.